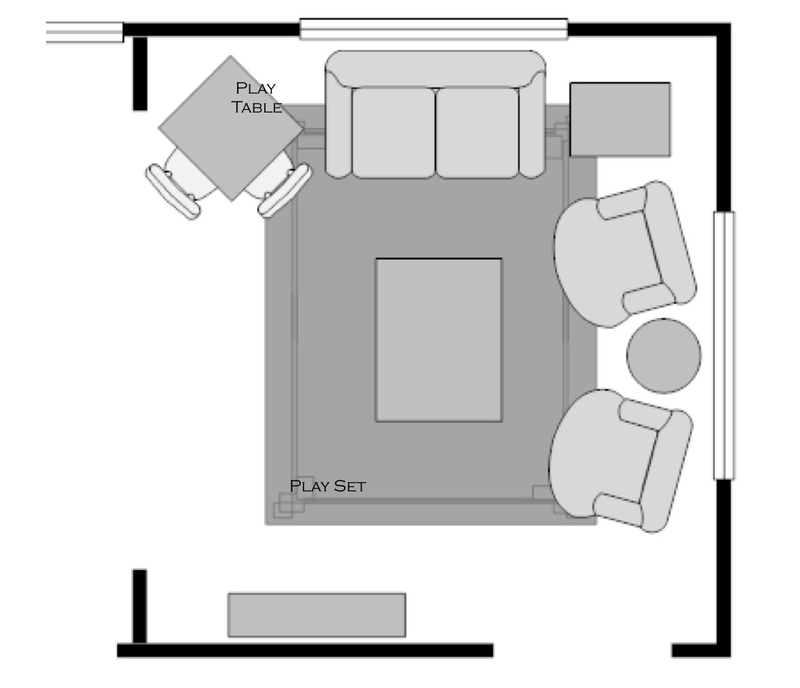 Today's featured design plan is one of two rooms we designed for Ashley and her young family. We created a look that is classic, yet young and current. 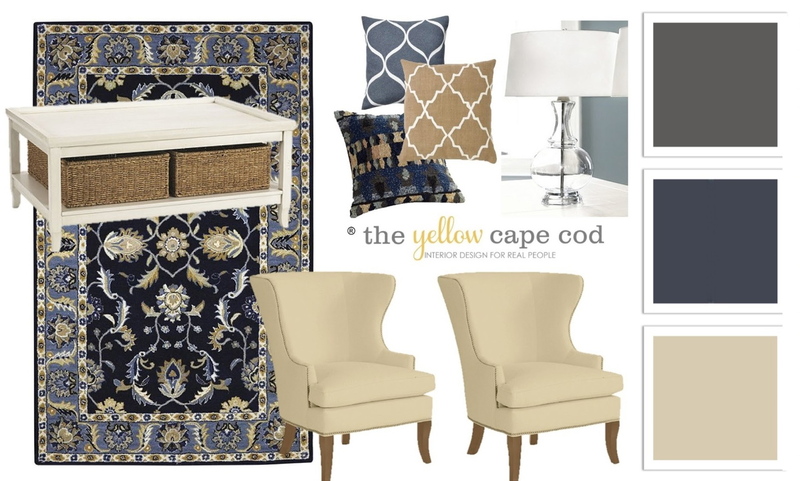 The color combination of blue, beige and charcoal gray is timeless and striking. This living room design is high in style and in family friendliness. For Ashley's Living Room wall color, we recommended a color like Kilim Beige by Sherwin Williams (the color shown below, all the way to the right). This fantastic neutral color will look great with her white trim, baseboards and window casings. Also shown here are two other accent colors that could be used with this design. For drapes, we chose these eye catching charcoal gray cheveron panels from Ballard Design. These have a casual feel while the large graphic pattern will set off the large windows in Ashley's home. Ashley already has a great loveseat that she would like to keep in the space. 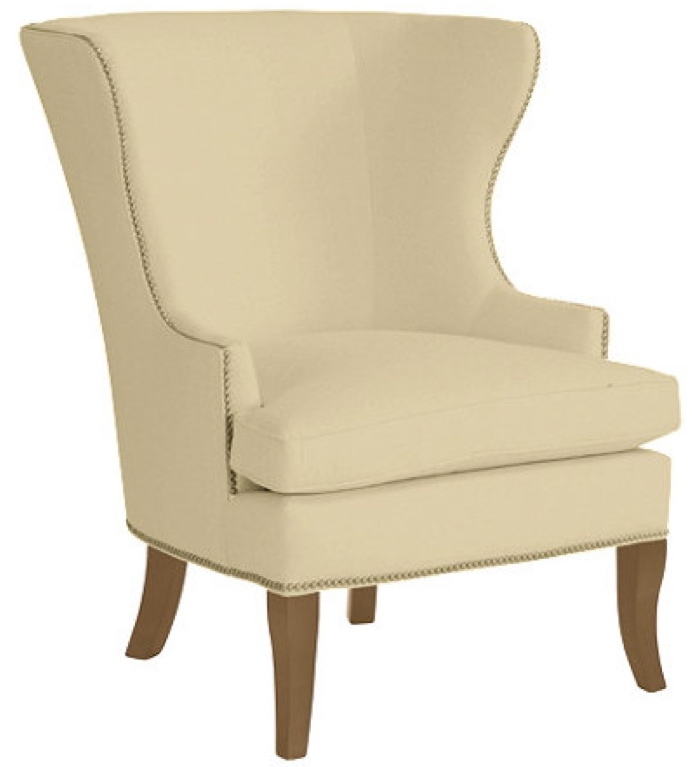 For additional seating, we introduced a pair of neutral colored wing back chairs. These particular chairs have a nice contemporary shape which keeps them feeling young. 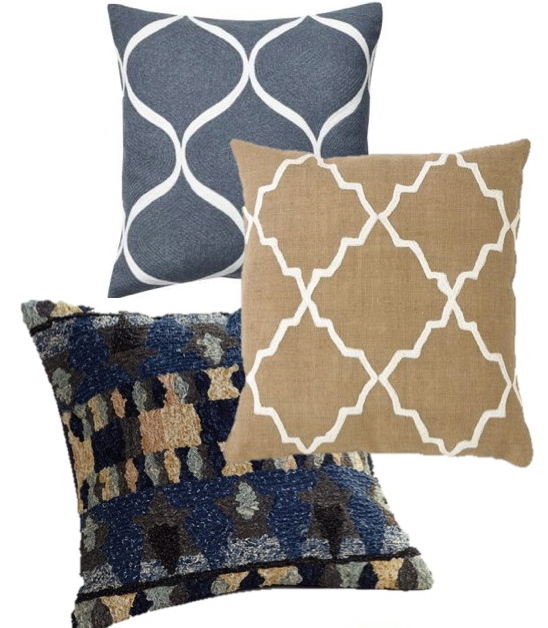 For color, pattern and interest, we created a custom mix of toss pillows. This collection of fabrics will look great mixed together on the loveseat and wing back chairs. Ashley has a young family that wants to be able to use this space comfortably everyday. 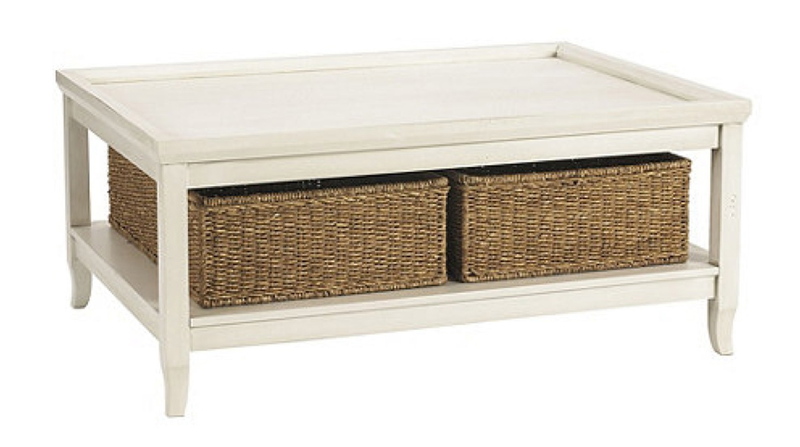 This coffee table is a perfect solution. These beautiful storage baskets not only provide a place to keep toys, but they also bring gorgeous natural texture that compliments the design. 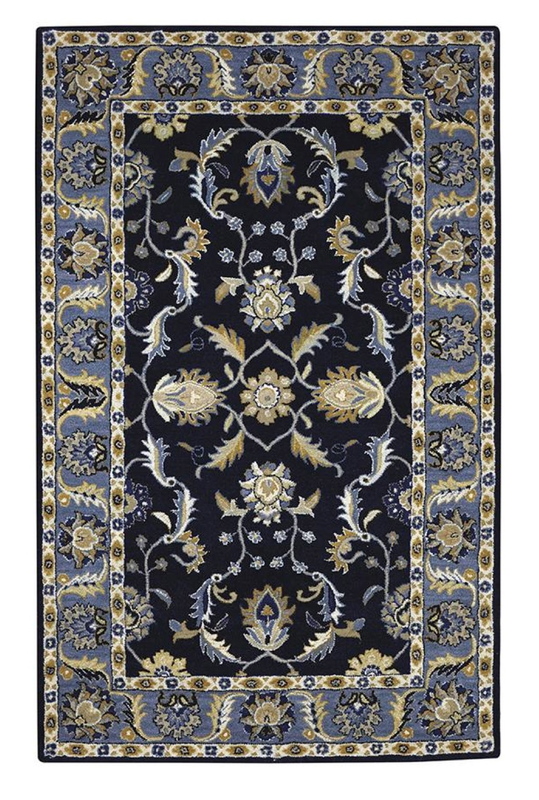 This amazing area rug was chosen for it's striking color combination and bold pattern. 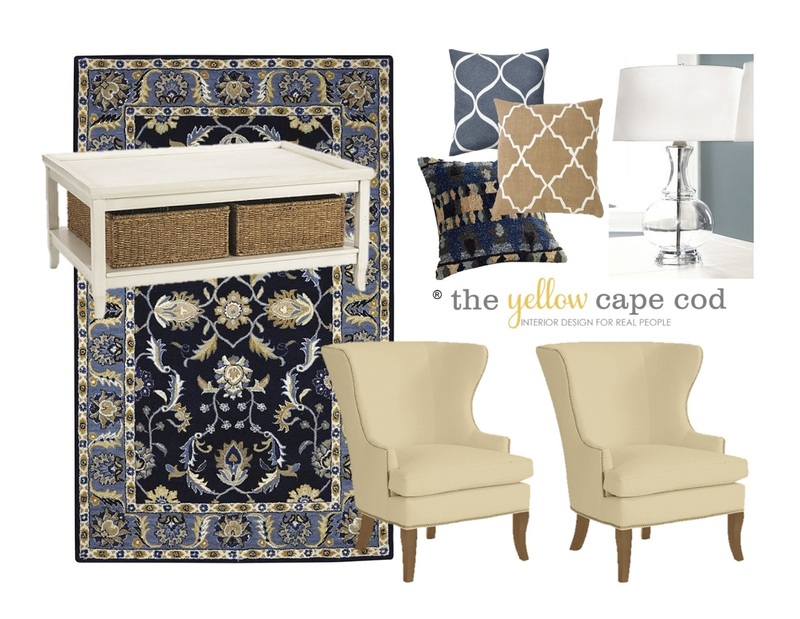 It is traditional in style, yet the contrasting color palette makes it an eye catching addition to the space. With the addition of this bold, colorful rug and striking cheveron drapes we kept the rest of the design simple. 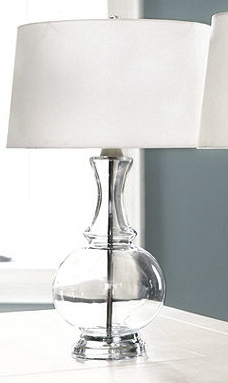 These beautiful glass lamps from Ballard Design are simply stated, yet interesting and elegant. All together this design feels young and fresh, yet classic at the same time. As with all of our online design plans, Ashley received a complete product source list, a true to scale floor-plan illustration and instructions on how to implement her new design. Thank you for giving us the opportunity to design for you, Ashley.